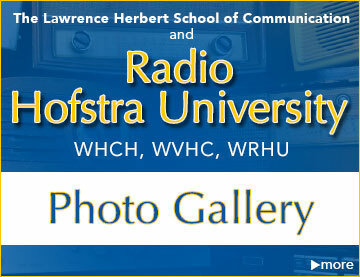 Radio Hofstra University - Where students are inspired by the best broadcasters in the world! 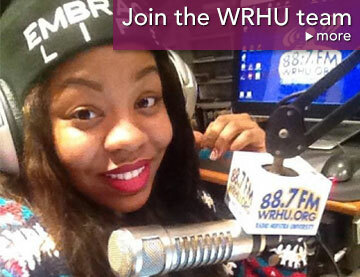 WRHU actively connects students with radio greats. Many current and past radio pros come to Hofstra to meet, network with, and inspire current students. "At our ongoing "Radio Realities" series students gain valuable up to the minute industry knowledge shared by major New York City radio managers and on-air talent. 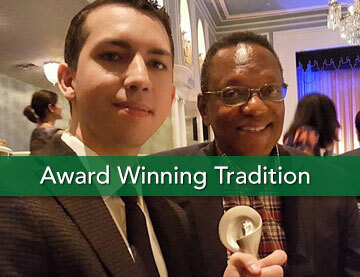 The Hofstra Radio Alumni association which has thousands of alumni stretching back nearly 50 years, also hosts many formal and informal events where students meet and learn from successful broadcast pros. 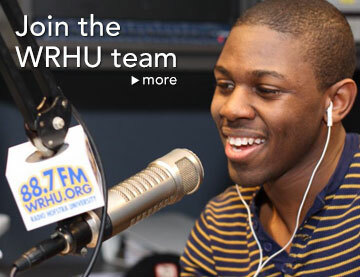 At Radio Hofstra University students are constantly mentored by numerous in-house broadcasting professionals. Frequently students are mentored one on one. The in-house professionals at Hofstra are approachable, friendly, caring, and knowledgeable. Bruce Avery – Bruce serves as WRHU’s General Manager. He has over 30 years of experience working with young adults at various higher education institutions on Long Island at Hofstra and before that in central Connecticut. You may recognize Bruce Avery from television. He has been a meteorologist for News 12 Long Island for more than two decades and for the two decades before that he served as a TV weatherman / meteorologist for television stations in Hartford Connecticut and Springfield Mass. John Mullen – John serves as Director of Operations. 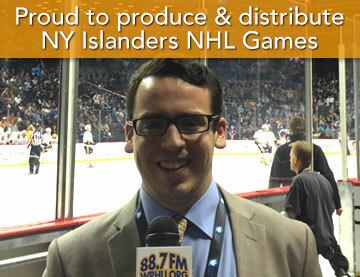 He handles syndication of content to major radio outlets (including WFAN AM/FM, WCBS 880AM, & Sirius / XM) and the distribution of student audio content to high traffic web products including NHL.com and NHL Game-Center app. John organizes cross platform media convergence of student produced audio / radio content with video (LI Nets Facebook Live broadcasts. 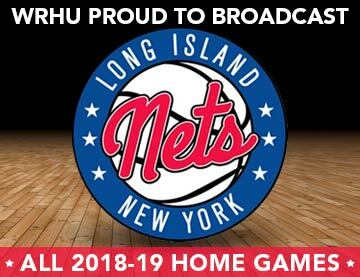 Pride Productions live webcasts on Stretch / GoHofstra.com, and live band performances airing on Hofstra’s HEAT cable TV Network). 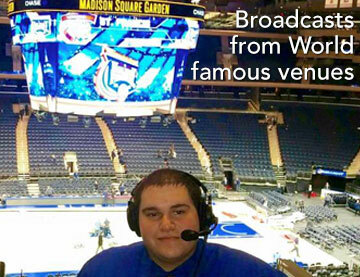 John also handles new media initiatives at Radio Hofstra University including the growth of WRHU produced video on social media platforms. Besides his work at Hofstra, John worked for MTV Digital, was Operations Manager of WQCD FM / WRKS FM NYC, Research Director of Hot 97 NYC, Program Director of WBLS NYC, and a former Bureau Chief of Metro Networks / Shadow Traffic. Pete Silverman – As a Professional-In-Residence, Pete works with WRHU’s Associated Press Award winning afternoon drive half hour live locally focused news program Newsline. He serves as a mentor and coach for students aspiring to become news professionals. Pete brings over 30 years of experience to WRHU. He served as a top executive at MSG Networks for numerous years and his career includes play-by-play of live game broadcasts and hosting sports radio talk shows in Philadelphia and Atlanta. Additionally, he has many years of major market experience as a news anchor and reporter. Andy Gladding – Andy serves as WRHU’s Chief audio Engineer. He has over a decade of experience in engineering and IT. Andy has worked at: Westwood One, FOX Radio Network, Emmis Communication and Inner City broadcasting. Andy works with students interested in careers in broadcast technology. He also designs and maintains the studios of Radio Hofstra University. In his spare time Andy runs live sound boards for numerous large live concerts including jazz festivals in new Orleans and many local live concerts in and around the metropolitan tri-state area. Ed Ingles – Ed is also a Professional-In-Residence at WRHU. He mentors students interested in careers in sports broadcasting (update anchors, play-by-play, and color commentary) as well as students interested in careers in news. Ed has over 40 years of experience in sports and news in New York City radio. This includes 24 years as Sports Director at WCBS AM 880 where he was also a morning drive sports update anchor. Ed was a NY Jets NFL football and college basketball radio broadcaster (St. john’s and Iona) for many years. In addition he appeared on the CBS TV NFL pre-game show numerous times. Mario Murillo - Hofstra Audio Radio Program Department Coordinator and executive producer of “Getting to the Root” a long form news magazine style public affairs show on WRHU FM. Previously he was a host / producer on WBAI FM NYC. He produces for radio outlets, including WBAI FM and WNYC FM in NYC. Mario is a former New York correspondent for "Latino USA!," National Public Radio's weekly news magazine for and about the country's Latino community, broadcast nationally on more than 200 public radio stations. Mario teaches many classes in radio programming, production, and theory. Dennis Quinn - Dennis is best known as the "Iron man" of New York City radio after spending 37 years as a full time on-air personality on one frequency 101.9 in the most competitive radio marketplace in the world (This is a record that will NEVER be broken) . Dennis was an on-air fixture at WPIX FM and CD 101.9. Before joining the Hofstra team, Dennis taught at Yale.